Eleven Latin American countries refused to back an IMF move this week to keep bankrolling Greece, citing risks of non-repayment. Recession continues in Greece as unemployment hits 27%, but flickering growth returns elsewhere in EU. The International Monetary Fund warned the eurozone yesterday that it may be forced to write off a chunk of Greece‘s debt after identifying an $11bn black hole in the finances of the recession-stricken country. The IMF, which is struggling to persuade developing countries to back Greece’s bailout, said “debt sustainability” continued to be a risk. The commitment of Greece’s European partners to provide relief as needed to keep debt on the programmed path remains, therefore, a critical part of the programme. “Greece has made important progress in rectifying pre-crisis imbalances” the Fund said, noting that the country was on the cusp of balancing its books once debt interest payments were excluded and that the trade deficit had also come down sharply. But it stressed that the adjustment had been caused mainly by recession rather than by an improvement in productivity caused by structural reforms. “The ongoing correction of imbalances has come at a very high cost. The economy is in the sixth year of recession. Output has fallen by nearly 25% since its peak in 2007. The unemployment rate is about 27%, and youth unemployment exceeds 57%. In the eurozone as a whole, tentative optimism that the recession is finally receding was supported by the first fall in unemployment in more than two years in June. After rising by almost 3.75m to more than 19m since the spring of 2011, the EU’s statistical agency Eurostat said the jobless total reduced by 24,000. While the unemployment rate remained steady at 12.1%, the figures showed wide variations in joblessness. The unemployment rate held steady in Germany, rose slightly in France, the Netherlands and Belgium and came down to 26.3 % in Spain and 12.1% in Italy. What about the public sector in Greece? You are covering a resistance event in order to inform the society? You are fired! Journalists Union of Turkey (TGS) Istanbul Branch released a statement saying that at least 22 media staff were laid off and 37 forced to quit work during Turkey’s Gezi Resistance protests. “Media in Turkey is going through one of its darkest periods,” branch chairperson Durmuş said. Journalists Union of Turkey (TGS) Istanbul Branch released a statement saying that at least 22 media staff were laid off and 37 forced to quit work during Gezi Resistance protests across Turkey. The statement has been announced around a press conference at TGS headquarters with the attendance of Tuğçe Tatari and Hasan Cömert, former journalists at Akşam newspaper and NTV channel respectively. “Media in Turkey is going through one of its darkest periods ever with all its editorial policies depending on censures and misinformations that confiscated public right to be informed. These policies are serving to the government and not the people,” TGS Istanbul Branch Chairperson Gökhan Durmuş in a statement. Durmuş stated that 59 media staff became unemployed since the beginning of Gezi Resistance protest on May 27. “The situation of 14 media staff is still unknown. Among 59 who lost their job, there are 22 lay offs, 37 forced resignations. “Some of them lost their job because their magazine was shut down. Others faced censure in their work. Some even lost their job because of their tweets. One co-worker lost his job because he greeted Gezi Park protestors who were holding a demonstration in front of his workplace. We also know that some of those lay offs have been issued without repartitions. Following the press statement, former Akşam newspaper journalist Tuğçe Tatari held a statement concerning Turkey’s Savings Deposit Insurance Fund (TMSF) order to confiscate the newspaper. Cömert, on the other hand, said there is currently no possibility to do journalism in Turkey’s mainstream media as the sector belonged to business people. Edward Snowden has exposed more than a massive spying operation. The whistleblower has – perhaps unintentionally – drawn attention to just how obsequious Europe’s political leaders are towards the US. Angela Merkel and François Hollande are reportedly furious over revelations that America has been reading their diplomats’ emails (though their fury can’t be that intense given that a rumour that Snowden was on a flight to Bolivia was sufficient for France to block the plane from its airspace). There were hints too that a planned trans-Atlantic trade agreement could be in jeopardy as a result of the controversy. Yet the talks have opened this month as planned. With many of the world’s most powerful corporations adamant that the talks take place, they were unlikely to be derailed by a spat over snooping. In May this year, a ‘business alliance’ to support the planned trade deal was established. Many of the firms belonging to this coalition – BP, Coca-Cola, Deutsche Bank, British American Tobacco, Nestlé – have been involved in similar initiatives since the 1990s. Using a highly dubious methodology, the alliance estimates that a transatlantic trade and investment partnership (known by the ugly acronym TTIP) would bring benefits of €119 billion to the EU and €95 billion to the US per year. What they don’t spell out is that the price of any such benefits could be the destruction of democracy. A leaked document detailing what EU officials wish to achieve in the negotiations says that an eventual agreement should include ‘state-of-the-art’ provisions on ‘dispute settlement’. Under this plan, special tribunals would be set up to allow corporations to sue governments over laws that hamper them from maximising their profits. When clauses like those being envisaged have been inserted into previous investment treaties, corporations have invoked them in order to challenge health and environmental laws that were not to their liking. Australian rules that all cigarettes be sold in unattractive packaging and Germany’s decision to abandon nuclear power are among the measures that corporations have tried to torpedo in the name of ‘investor protection’. What will the masters of the global economy take on next: minimum wage levels; restrictions on hazardous chemicals; food quality standards? All of these advances are the results of struggle by workers and campaigners. All of them could be at risk if European and American negotiators go ahead with their plan to set up a special court system that corporations alone may use. Peter Mandelson must shoulder some of the blame for the extremist agenda now being pursued. In 2006, when he was EU trade commissioner, Mandelson published an official blueprint called Global Europe. It committed the Brussels bureaucracy to work in tandem with corporations to remove any obstacles they encountered throughout the world. The blueprint closely ressembled recommendations made by pressure groups like the European Services Forum (ESF). Bringing together Microsoft, BT, Veolia and – at the time – Goldman Sachs, the ESF has its origins in the 1999 conference of the World Trade Organisation, best remembered for the ‘Battle of Seattle’ – the large-scale protests against it. In The Brussels Business, an excellent film about corporate lobbying, the ESF’s Pascal Kerneis waxes emotional as he recalls how some ‘high-VIPs’ were unable to attend important meetings in Seattle because of the demonstrations outside their hotel. Kerneis, however, did not allow this display of people power to weaken his determination to refashion the international economy in the way that his elitist pals wanted. In his dealings with Mandelson’s team of advisers, Kerneis argued that if the EU is unable to have the wishes of corporations fulfilled at the WTO level, it should concentrate on twisting the arms of individual governments. The stilted phrasing of some ESF briefing papers though could not conceal that they were designed to turn some of the wildest capitalist fantasies into reality. One advocated that the EU should strive to remove all capital requirements for banks and caps on foreign ownership of companies in its key trading partners, as well as any pesky rules preventing corporations from sending profits abroad (to, say, a tax haven). As they were drafted before the financial crisis that erupted in 2008, these papers have a carefree, almost naive feel to them. And yet the European Commission is still striving to attain the core goals identified in such documents. The Commission’s latest annual report on ‘trade and investment barriers’ says that all ‘relevant instruments and policies’ will be marshalled worldwide ‘to make sure the playing field is levelled’. On the surface, that may sound innocuous. In practice though, it means that corporations are accorded more rights than human beings. If an Indian arrived in Heathrow Airport tomorrow and demanded to automatically have the same entitlements as a British citizen, he or she would probably be arrested. Yet the EU executive believes that big Western companies active in India should enjoy ‘national treatment’ – that is they should be treated exactly like Indian firms. Britain’s industrialisation was achieved at least partly because the textiles sector was shielded from foreign competition. Yet blinkered by neoliberal ideology, Brussels officials want to prevent poorer countries from applying the same tactics, which they now describe as ‘protectionist’ (a dirty word, according to these ideologues). The willingness to allow corporate lobbyists set the rules is not confined to trade policy. Financial regulation too has been heavily influenced by the world’s most powerful banks. Charlie McCreevy, the EU’s single market commissioner from 2004 to 2010, displayed a deep aversion to oversight during his time in office. His hands-off approach can be attributed to the fact that the ‘experts’ he appointed to guide him held exorbitantly-paid posts at the investment banks Goldman Sachs and Morgan Stanley. A consultative group on hedge funds that the Irishman assembled was comprised entirely of insiders from the financial services industry. When Michel Barnier was tasked with taking over McCreevy’s portfolio, Nicolas Sarkozy (remember him?) contended that giving this post to a Frenchman was a defeat for the Anglo-Saxon model of capitalism. Like many of Sarkozy’s proclamations, it was fanciful. Barnier has kept up the dishonourable tradition of relying primarily on advice from the private sector. An ‘expert group’ on banking reform set up at his behest last year had a token representative from the European Consumers’ Organisation (known by the French acronym BEUC) and a couple of academics. Most of its eleven members, however, were sitting or former bankers – or, worse still, weapons salesmen. Financial service whizzkids are held in awe by EU policy-makers. This became much apparent during 2009. Boris Johnson hopped on the Eurostar to Brussels that year to champion the City of London and predictably grabbed the headlines. Away from the glare of publicity, however, an army of hedge fund managers succeeded in eviscerating a law designed to restrain their gambling. When the law went before the European Parliament, the hedge fund industry prepared a voluminous set of amendments. Sharon Bowles, a Liberal Democrat MEP who chairs the Parliament’s economics committee, admitted to me that she signed amendments drafted by the financial industry and then tabled them in her own name. This obviously begs the question of whether she is really working on behalf of her constituents or on behalf of banks. The corporate lobby has proven adept at concocting myths. Whereas it was patently obvious that the economic crisis was caused by the reckless behaviour of banks, powerful groupings have spread the falsehood that extravagance in public spending was really to blame. The European Roundtable of Industrialists (ERT) – which includes the chief executives or chairmen of Shell, Volvo, Nestlé, Vodafone and Heineken – has been leading efforts to demolish the welfare state. Among its core demands are that healthcare should be privatised so that Europe more closely resembles the US. The ERT enjoys the kind of access to top-level politicians that defenders of the underprivileged are denied. Herman Van Rompuy, the EU’s unelected ‘president’, is known to have dined with ERT delegations in private clubs, without any details of these encounters being posted on his website. And in March this year, Merkel and Hollande, along with the European Commission’s head José Manuel Barroso, met ERT representatives in Berlin. The ERT is pushing the Union’s governments to agree on a ‘competitiveness pact’ over the next twelve months. 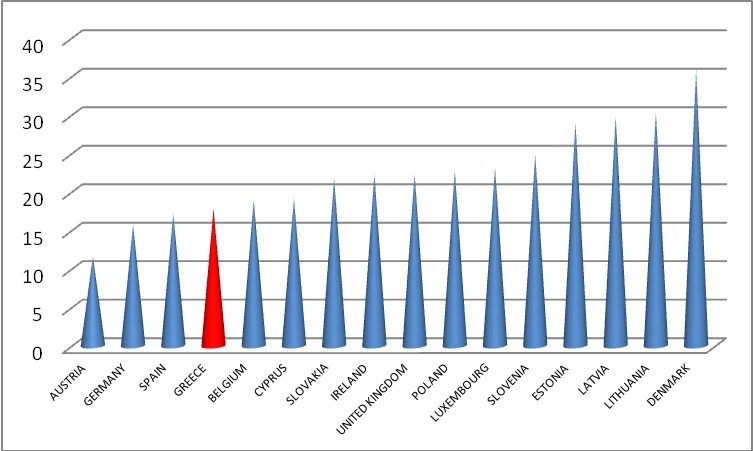 Under this pact, each EU country would become obliged to drive down its wage levels and dilute its labour laws. ‘Competitiveness’ is a byword for crony capitalism. It should not be confused with competition: among the ERT’s demands are that the EU becomes less fussy about controlling mergers between large companies. Far from encouraging diversity, it wants to have wealth concentrated in increasingly fewer hands. Repeated so often, the idea of ‘competitiveness’ has assumed an almost religious significance among the EU elite. Opposing it is regarded as heretical. Despite Thatcher’s tetchy relationship with the EU institutions, the main tenets of Thatcherism have gone mainstream in Brussels. Attempts made in earlier decades to give the Union a social dimension – by, for example, championing gender equality – always amounted to fig-leafs for a project that was essentially right-wing and anti-democratic. In more recent years, these fig-leafs have become increasingly slender. Barroso is among a new generation of leaders who are demonstrably in thrall to the ‘Iron Lady’. While he habitually describes the EU as a ‘social market’ economy, it is evident from his favoured policies that his real agenda is to bolster corporate power. One key objective of the European Commission is to promote ‘public-private partnerships’. This idea of handing over services financed by taxpayers to unaccountable companies can be traced back to Thatcher and her successor, John Major. With few exceptions, the Union is cuddling up to big business and screwing the rest of us. Building a mass movement to confront corporate power has never been more urgent. David Cronin’s book Corporate Europe: How Big Business Sets Policies on Food, Climate and War will be published in August. It can be pre-ordered now from Pluto Press. Sinking under huge debts and decades of mismanagement, Detroit formally filed for bankruptcy on Thursday, becoming the biggest US city ever to take such a drastic measure. The filing sets a new record for municipal bankruptcies and dwarfs the previous record filings by Jefferson County, Alabama, and Stockton, California. No other city of Detroit’s size has ever gone bust. Orr and the city’s creditors and pensioners will now begin a fraught legal consultation period while a court determines whether the city is eligible for “chapter 9” bankruptcy protection for its $18.5bn debts and liabilities. Snyder said he hoped the bankruptcy would be the beginning of the end of Detroit’s woes. “This decision comes in the wake of 60 years of decline in the city, a period in which reality was often ignored. I know that many will see this as a low point in the city’s history. If so, I think it will also be the foundation of the city’s future,” he wrote. “The citizens of Detroit need and deserve a clear road out of the cycle of ever-decreasing services,” Snyder wrote. Orr had set out a restructuring plan in June for the city, which has been plagued by corruption and plummeting revenues for years. But pension groups and bondholders balked at the terms. This week, pension funds objecting to Orr’s plan sued to stop him from making the move. At a press conference in Detroit on Thursday evening, Orr said the city’s debts were currently claiming 38 cents on every $1 it receives in revenue. That figure would rise to 65 cents by 2017. “This is the right thing to do,” he said of the bankruptcy filing. He said bankruptcy would allow Orr to renegotiate government contracts and other broad powers to impose draconian costs cuts. But he warned bankruptcy was not an easy path. “This will make it hard for the city to conduct day-to-day business. It will drain a lot of time, it could put people off moving businesses to Detroit and it could last for years,” he said. Other major cities have teetered on the edge of bankruptcy, including New York in 1975, Cleveland in 1978 and Philadelphia in 1991. But all brokered deals rather than face the dire consequences of going bust. “Detroit has severe difficulties, but this would be an extraordinary event,” said James Spiotto, a chapter 9 expert and head of the bankruptcy unit at Chicago’s Chapman & Cutler, before the bankruptcy was confirmed. If the filing is approved, Detroit’s cost of borrowing will soar and the city will struggle to raise cash, Spiotto warned. Meanwhile, officials would spend years battling in the court over who is owed what. “Chapter 9 is time-consuming, expensive and uncertain,” Spiotto said. Orr has said bankruptcy was not his preferred option. But as talks foundered, his options narrowed. His original plan was to slash benefits to retirees, including pensions and healthcare, and cut already minimal services to the bone. Police and firefighters who retire before age 55, for example, would get no healthcare under one proposal. Bondholders would have received cents for every dollar in debt they hold. Municipal bonds have traditionally been viewed as among the safest available investments. When Central Falls in Rhode Island went bust in 2011, the state passed a law giving bondholders priority over other creditors, including retirees. Detroit’s investors must now be wondering whether bankruptcy would give them a better deal. Neither side was willing to sign up for Orr’s settlement. This week, the city’s two pension boards – the General Retirement System and the Police and Fire Retirement System – sued Orr and Michigan governor Rick Snyder in an attempt to block a bankruptcy. “It appears imminent the governor will grant the emergency manager the unconditional power to proceed under chapter 9, and the emergency manager will seek to have the city’s pension debts impaired unless the retirement systems and their participants accept the emergency manager’s unilateral imposition of significant impairments to their accrued financial benefits,” the lawsuit says. Orr was appointed in March after Snyder declared a “financial emergency” in Detroit. A lawyer and University of Michigan alumnus, Orr helped steer Chrysler out of bankruptcy, but this is a dilemma of an altogether greater magnitude. Even after years of decline, Detroit remains the US’s 18th most populous city. The city’s finances may have hit an all-time low but its business is bouncing back. The car firms that made the city are back in rude health, and downtown Detroit is being revitalized by new businesses. But for Detroit’s poor, bankruptcy is likely to make life even harder in the short term. About 60% of Detroit’s children live in poverty. Orr had planned to bus creditors to some of the city’s poorest areas so they could see what was at stake. Armed security would have gone along for the ride. “If they can see what it’s like for Detroiters, what they endure every day in this city, I think they’ll begin to understand what’s at stake,” Orr told the Detroit Free Press. The tour was canceled as bankers became worried about the PR impact of captains of finance touring the city’s poorest neighbourhoods. A school guard reacts as he sits in front of riot policemen guarding parliament, 17 July 2013 (Kostas Tsironis, AP)MPs narrowly approved a new batch of austerity measures early on Thursday, including thousands of public-sector job cuts and transfers, demanded by the troika to keep bailout loans flowing. Lawmakers in the 300-seat house backed the cutbacks in an article-by-article vote, with two of the governing coalition’s 155 deputies failing to back crucial articles. One New Democracy MP, Dimitris Kyriazidis, was absent owing to a family bereavement. But veteran Pasok MP, Apostolos Kaklamanis, failed to turn up for the vote even though he had spoken in the chamber earlier. In addition, Pasok’s parliamentary group spokesman, Paris Koukoulopoulos, failed to support the article abolishing the municipal police. It was the first major political test for Prime Minister Antonis Samaras since Democratic Left abandoned his coalition government last month. The new legislation will put 12,500 public-sector staff, mostly teachers and municipal workers, in a programme that subjects them to involuntary transfers and possible dismissals. It will also pave the way for 15,000 layoffs by the end of next year. Finance Minister Yannis Stournaras (L) and Prime minister Antonis Samaras are congratulated by New Democracy MPs, 18 July 2013 (AP)City halls across the country have been closed this week, with uncollected rubbish piling up on the streets, and unions held a general strike on Tuesday against the proposed cuts. Some 3,000 people protested outside parliament ahead of the vote, chanting anti-austerity slogans in a third straight day of protests. But the reaction – in the midst of the summer holiday season – was subdued compared to previous, often violent demonstrations that brought tens of thousands into the streets. The measures include a ban of all demonstrations in the city centre, including Syntagma Square. On Wednesday, Samaras made a televised statement to announce a sales tax cut for restaurant and catering services from 23% to 13% – the first tax reduction since the crisis started in late 2009. Samaras is due later on Thursday to meet Schaeuble, who is expected to discuss a programme of German support for small and medium-sized Greek businesses. Schaeuble, widely resented in Greece as the driving force behind the country’s painful cutbacks, said his one-day visit is meant to display confidence in the government’s efforts at recovery. But public sector staff targeted in the cuts said there was no justification for their treatment. Sitting on the hot asphalt under an umbrella during a protest on Wednesday, 47-year-old Maria Denida joined other women who travelled from the northern city of Thessaloniki to protest outside parliament, together with many of the country’s mayors. “I’ve been a school guard for 13 years and suddenly we find out we have no job. They say we’ll be suspended. But that means we’ll be fired,” Denida said, her voice cracking with emotion. Municipal police officers from around the country rallied through the capital’s centre with their motorcycles and patrol cars. The force, whose duties include monitoring street vendors and parking, is due to be disbanded and incorporated into national police after officers are suspended on reduced pay for up to eight months. “So we think they just wanted to make up the quota they needed for job cuts, and are proceeding without a plan,” Kossivas said. Landscapes of Emergency is a brief glance over the undeclared state of emergency that casts its shadow over the functions and the phenomena of public space in Athens today, at this time of crisis. Relying upon the readings of two lawyers, it attempts a passage through the dark landscapes that the new dogma of public security leaves in its wake. And it chooses to view the crisis as a way of managing urban everydayness, as a way of managing it militarily. It comprises a thematic intervention-deflection as part of The Space That Remains, a research strand of the project The City at a Time of Crisis. Yet through its deflecting characteristics it simply reaffirms the initial fears that led to the creation of this research strand. In other words, it confirms that the space that remains is ever-lessening and that the state of emergency educates us to live, in the end, with this loss.